A day in the life of a functioning 32 year old with a brain injury. I have come to a point with my blog whereby I have explored ‘main’ issues surrounding my personal brain injury and now I am doing the actual living with it. The shock, learning and coping stages have pretty much been paddled through and now reality has hit. It’s a very bizarre concept being ‘normal’ and living ‘normally’ and is something that I do struggle with. This struggle however is generally burying itself gradually but I have come to the conclusion that it is actually a working progress and so it is important to manage ‘challenges’ rather than ignore them. A recent example of my being so normal is that a certain person commented as to how my speech is normal. Obviously most people would take this as a compliment and it was obviously meant as one. It however had the effect that I have been quite frustrated as I can find it really difficult to communicate. It takes a huge amount of concentration to get the correct words out let alone remember the question you have been asked. It’s not the case that I don’t like communicating because I do (and do quite a bit of it!) but it’s the frustration that because I appear so normal it is very easy to forget that it is difficult. It probably doesn’t come across as a big deal getting the odd wrong word or not finding a word or losing the thread of a conversation but when this happens all day one can maybe be forgiven for getting a bit snappy when someone says you seem perfectly normal. 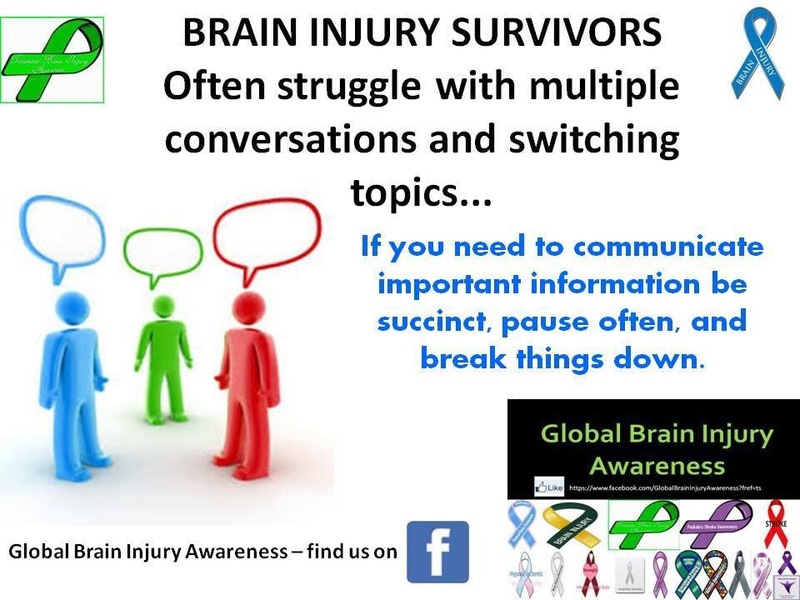 The point of this blog is not to moan but to raise awareness that Brain injuries don’t go away. If there is awareness ultimately it can only be a positive thing? I am so proud of my brain damaged daughter. What people don’t understand is how this affects everyone around. The huge aspirations, the hopes and everything, just dwindle, as they were before. But hey! Another dawn rises and the hopes and aspirations take on a new context. Every little move forward, every ability towards independence completely outways the aspirations one had before. They seem more poignant and far stronger than being the most successful result amongst one’s peers? They are the strongest ones! And how proud am I of my girl?